Secondary schools Computer-Aided Design (CAD) instructors will, this year, sit for an Autodesk International online examination to get certification in teaching software packages that are distributed by the US-based software developer. The examination will be administered in August and successful candidates will be awarded a professional certificate in AutoCAD and other premier software programs distributed by Autodesk International through their local partners - Advanced Design Colleges (ADC). ADC is the authorised distributor and trainer of AutoCAD software in the country working in partnership with tertiary education colleges and high schools. Currently it is working with 15 colleges and nine secondary schools. AutoCAD is a designing software that is used in all engineering and art designing fields. In an interview with ADC Project Manager David Ngandu on the sidelines of ADC Coordinators meeting held at Gateway High recently, he said ADC is in the process of training high school teachers on how to effectively use AutoCAD in line with international standards. "Teachers who have embraced AutoCAD will sit for an Autodesk International examination in August, this year to get certification," he said. Ngandu, who is also an AutoCAD application engineer, said the examination is a necessity for the instructors. "Those who will pass the examination will be awarded an AutoCAD certificate that will open opportunities for them and ensure that they are recognized globally," he said. 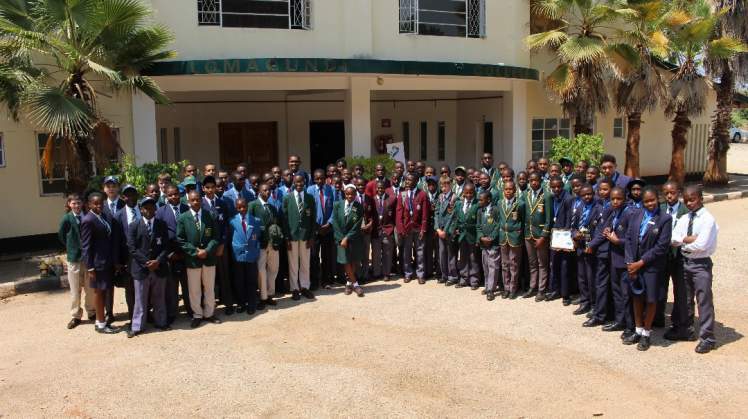 Ngandu said the training resonates with the government's Science, Technology Engineering and Mathematics (STEM) initiative that is aimed at stimulating economic recovery. “A professional certificate in AutoCAD will boost teachers' confidence in designing and teaching the software package. This will also function as a capacity-building initiative that will empower teachers to write localized material on teaching the software. "We want to replace the drawing board with computerised designing tools. For now, we understand that there is lack of learning materials so we do not phase out drawing boards haphazardly but we are doing it step by step. We have already tasked secondary schools to work on AutoCAD modules for students,” said Ngandu. Students instead of sitting for an online examination they get students certification of completion from Autodesk International after every complete year. "To qualify for the certificate of completion, students must submit at least three exercises completed in AutoCAD annually, in September. Students are encouraged to submit a complete project at the end of form two, four and six. The project will be marked and an Autodesk Project certificate, to be signed by Chief Executive Officer of Autodesk America, will be issued," said Ngandu.